Here’s a fun experiment. Pick something, it could be anything. Say it’s babies that look like Winston Churchill. And you’ll start seeing that thing everywhere and you’ll think to yourself–”Wow there sure are a lot of babies that look like Winston Churchill in my general municipality…” But they have always been there and you just haven’t noticed. After renting a Mini Cooper on our honeymoon, I am now noticing Mini Coopers nearly every other block in our neighborhood. I don’t think more residents of Park Slope have all decided to buy awesome cars in the last 3 weeks, it’s just that I’m more aware of them now. So, maybe it’s just a product of being a yoga teacher, but I think I spy a new fitness trend in our midst. Combining yoga to other activities. 2) Yoga and Hiking or Running: Notorious purveyors of Ayn Rand philosophy and overpriced yoga clothes Lululemon Athletica have a yoga and running club (plus there’s several others). Yoga and hiking trips are exploding all over the place, there’s even one in my beloved Prospect Park. 4) Yoga and Laughing: This has been around for awhile, and is equal parts heartwarming and cheesy, but I think it could be fun but I think I’d have to close my eyes to not feel silly. 5) Yoga and Karaoke: This is the newest yoga trend (in a world where “trends” are less then 100 people doing something). “I’m on a mission to spread joy and have people feel good,” says the teacher Jennifer Pastiloff–in her Karaoke yoga classes students sing and dance while they do yoga. I have nothing snarky to say about this because it sounds like something I would really enjoy. 6) Yoga and Drinking: Okay so I don’t think anyone is suggesting drinking while doing yoga, but there’s a new yoga studio/bar that’s opening in Brooklyn–it’s a yoga studio by day and a bar by night. And some yoga studios offer special wine tasting and yoga events. I’m sure there’s a lot more things yoga is being combined with, archery? bowling? scrapbooking? Any ideas for the next yoga-combo trend? I have nothing snarky to say about this because it sounds like something I would really enjoy. Ha. This made me laugh. 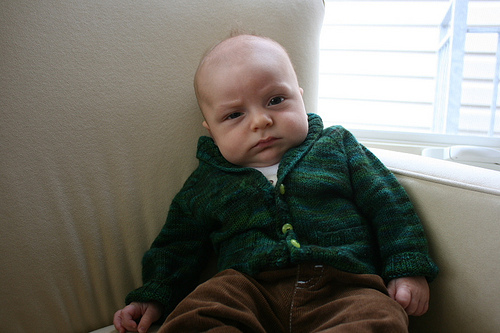 Babies who look like Winston Churchill indeed.